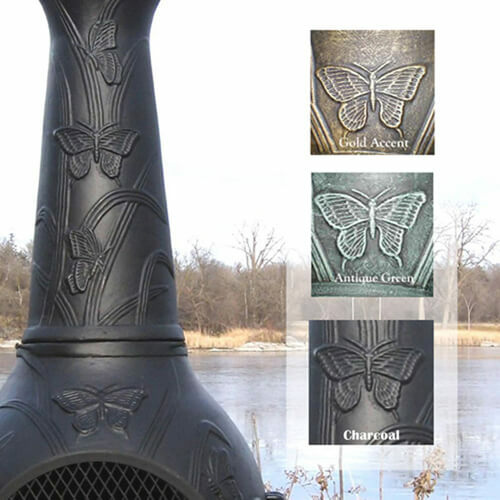 Enjoy butterflies in your backyard year round with our Butterfly Style Chiminea. 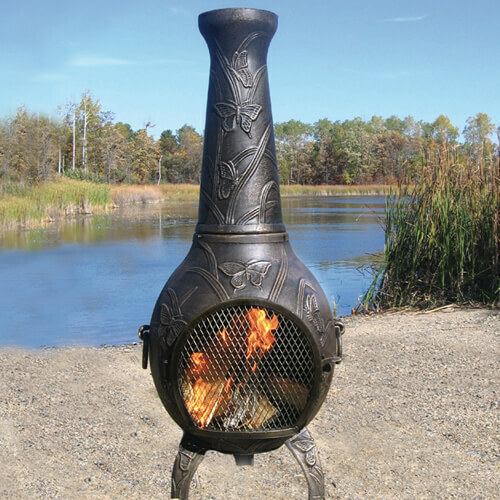 This beautifully designed chiminea showcases butterflies dancing in the tall grass reeds. Enjoy this crafted centerpiece in a quiet garden setting or watch it become the perfect conversation piece among guests. 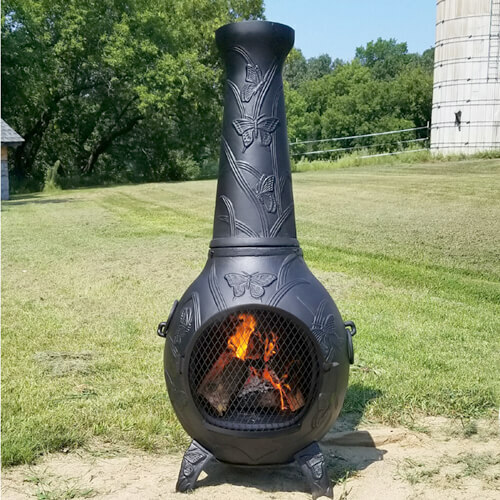 The Butterfly Chiminea is a unique outdoor fireplace design with the excellent qualities of cast aluminum alloy construction. It requires very little maintenance and is made to last for years of use. This large chiminea handles a full size fire log and has an extra large mouth opening for full view of the fire. The hinged safety door provides easy access for adding wood and roasting marshmallows. If you prefer not to use wood we offer a propane gas or natural gas conversion kit. A great gift for anyone who enjoys an outdoor fire and the perfect conversation piece for entertaining friends. All products you see on this web site have been design patent applied for under US Copyright Law by The Blue Rooster Company. If you see similar designs elsewhere on the internet, they are not Blue Rooster Company products unless indicated. Although our products looks may be duplicated, our manufacturing quality and great service cannot. Similar items from other companies can be made thinner, smaller, with cheaper materials, and do not have stainless steel mouth screens, bolts or hardware. 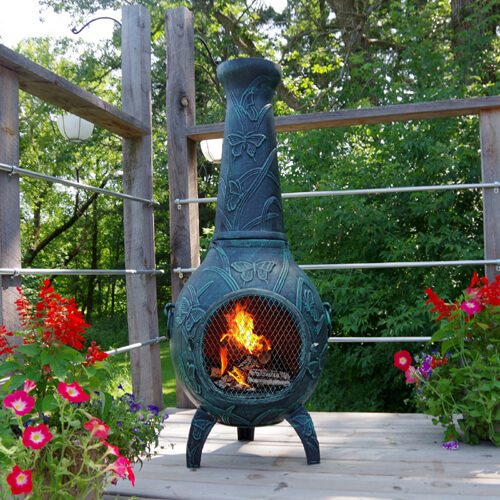 Buy a Blue Rooster chiminea to ensure you receive the best chiminea available. If you have any questions please contact us.